Let's face it, in today's busy world there's little enough time to do everything most of us have to do in a day. And women have it especially tough in a world where they're expected to look like a supermodel and work like a longshoreman. Most women find it necessary to make compromises here and there. The days of spending hours getting ready to go out have gone the way of the crinoline-lined skirts. 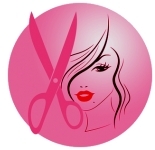 Most women are lucky if they can find the time to see their hairdressers every six weeks for a retouch and a trim, much less pop in weekly for a Friday night hair-do. Yet women still want to look beautiful, and it's expected of them, no matter how hard they work or how many hours they put in at the office, tending the kids, and cleaning the house. Whether it's the single woman, who just got a call from her boyfriend wanting to take her to dinner after work, or the stay-at-home mom whose husband just found out her husband is surprising her with a night out (while she's scraping strained peas off the kitchen wallpaper), today's woman sometimes finds herself needing to pull-together a lovely look on short notice. I know, you hear the word "bun" and immediately think of an old schoolmarm, or librarian. But a simple bun can be an elegant, chic hairstyle if done correctly. Here's the trick: instead of twisting the hair into a bun at the back of the head, drop it down to the nape of the neck. Use a little styling product and a brush to smooth your hair flat and bring it down and back to a gathering point at the base of the skull. Twist the hair into a bun and pin it in place with bob pins. A little hairspray and a couple of gentle pats to control any fly-away strands and you've got a sleek, chic look that's sure to turn heads. You don't have long enough hair to create a bun at the nape of the neck? Simple, make the style sleek and gather the ends of the hair at the base of the skull into an elastic band. Then, using a scarf to match your outfit, tie a bow to cover the small pony-tail. Don't make the bow too big, just large enough to balance the look and create the illusion. Even if your hair is too short to create a ponytail, you can fake it. 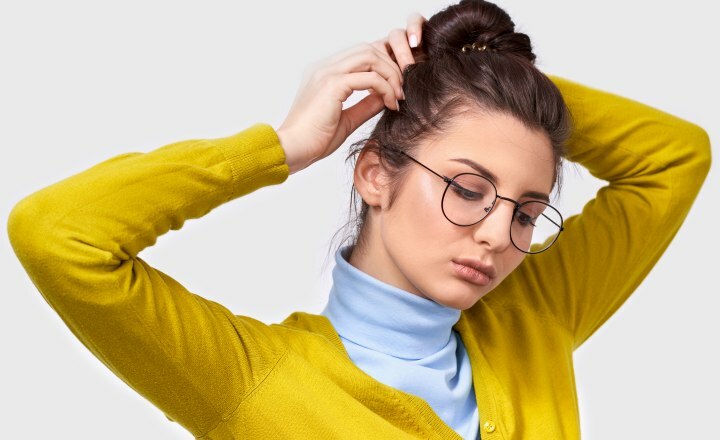 If you have enough hair to create a small knot at the base of the skull, you can create the same effect as having long hair wound into a bun at the nape of the neck. Just take a small section of hair at the base of the skull, twist it into knot and pin it securely. Then, smooth the rest of your hair back to the base of the skull with a brush and some product, and attach a decorative barrette that matches your outfit. You'll create the illusion of long hair pulled back into a sleek, fashionable style. Women with hair too short for this procedure will generally have a chic haircut that will serve them well without the effort of faking it. While not generally the first style idea you think of when you think "chic" hairstyles, a woman with long hair in a well-executed ponytail can look sleek and stunning (just look and Jennifer Lopez and Angelina Jolie in some of their red carpet walks). To get proper placement, it's easiest if you have an extra hand available, but not required. Using your brush, pull the hair back to the crown of the head. 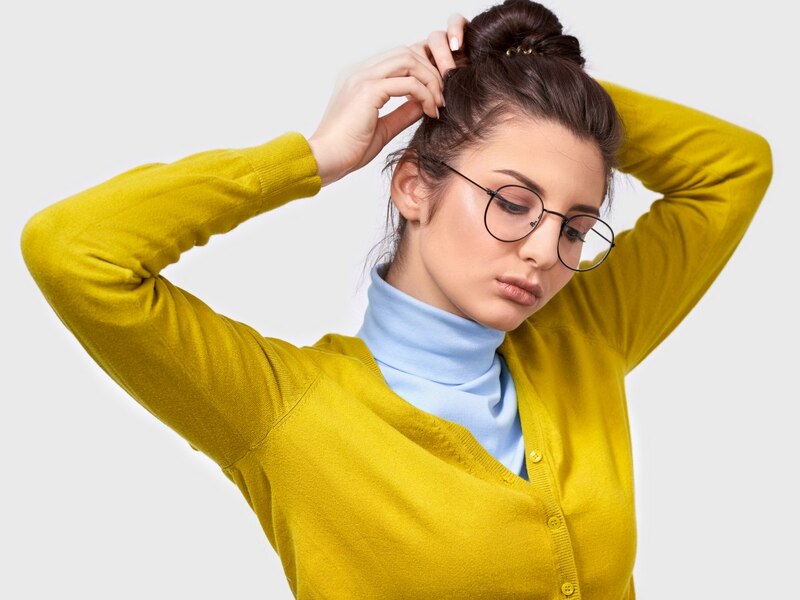 (To know exactly where to place the ponytail, turn your head to the side in front of the mirror and lay the back of your comb against the side of the head at the top of the ear. Angle the front end of the comb to point to the tip of your nose. The back end of the comb is now pointing to the position at the crown of the head where you want to gather the ponytail.